NEPAL. Kathmandu. 2006. 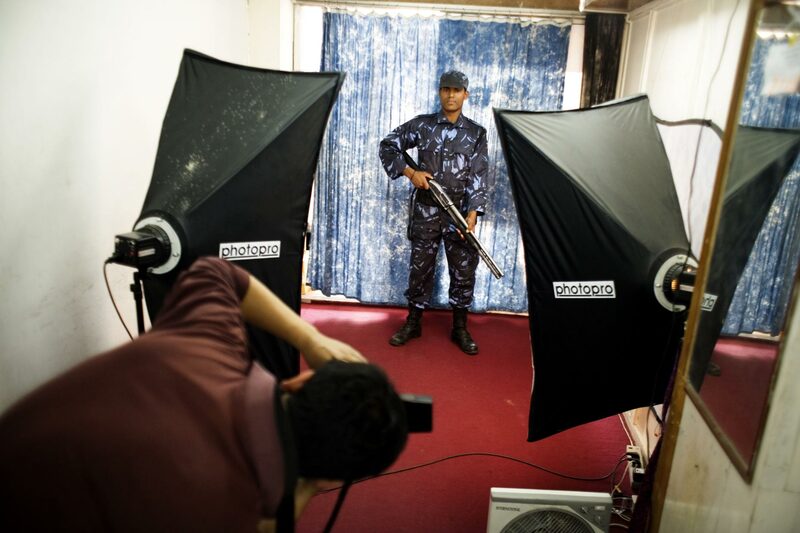 A Kathmandu Police Officer takes a break from riot-control to have his picture taken in a streetside photo studio.